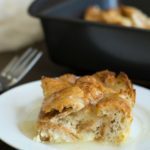 If you love biscuits and haven’t had them since going gluten free, you are going to love this paleo biscuit recipe that Simone from Zenbelly shared with us! These biscuits are perfect for dipping into herbed olive oil, or a bowl of soup! If you are looking for that perfect paleo biscuits to go along with that bowl of soup, look no further than this delicious gluten free biscuit recipe from Chef Simone Shifnadel, the owner of Zenbelly blog. She has just the recipe for you to try just in time for the holidays! 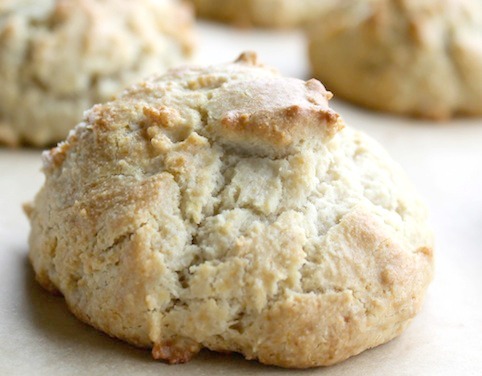 These homemade grain-free biscuits are drop style and so easy to make! All you need is a bowl and a few simple ingredients! 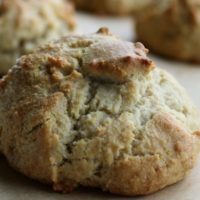 What ingredients are best for paleo biscuits? When making paleo biscuits, you can use almond flour, coconut flour, cassava flour, and tapioca starch. 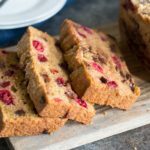 This recipe uses a combination of almond flour and tapioca starch. How long do you bake grain-free biscuits? 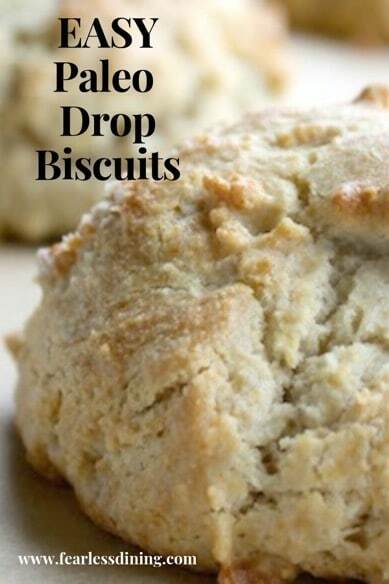 These biscuits are drop style and cook fairly quickly. Bake at 350F degrees for 15 minutes. Serve warm with ghee and honey. If you haven’t tried grain free, these can be delicious and is a great healthy option. The almond flour makes a great way to sneak some extra nutrition in your kids :-). The first step is to preheat your oven to 350F degrees. The easy way. 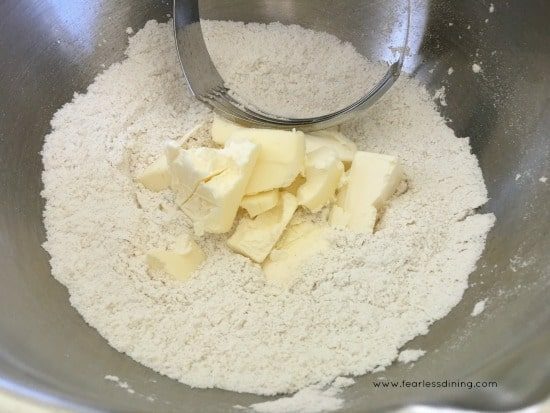 Use a pastry blender to cut the butter into the flour. You can see what a pastry blender looks like in the photo above. The harder way. Use two knives in cutting motions to chop up the butter into the flour. Another thing I don’t like about this method is that it is harder to get small pieces of butter…making the biscuits a bit inconsistent. Next, in a smaller bowl, add your wet ingredients. Whisk to blend. Pour the wet ingredients into the dry ingredients and mix. Line a cookie sheet with parchment paper and use a large cookie scoop, or large spoon, to drop the dough onto the parchment paper. Bake for 15 minutes. Make sure to use almond flour, which is much finer ground than almond meal. 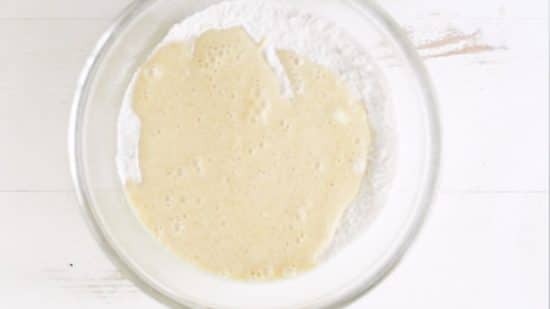 In a large mixing bowl, combine the almond flour, arrowroot, salt and baking soda. Combine with a whisk. Cut the butter into 4-5 pieces and cut into the dry ingredients with a pastry cutter or 2 knives. You'll want the result to look like coarse crumbs, no larger than pea sized. In a small bowl, whisk together the honey and eggs. Gently mix into the dry ingredients, but try not to over mix. You want it just to come together. Bake for about 15 minutes, but give them a peek after 10. I have never made biscuits before. 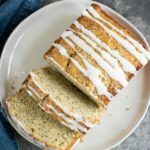 I will love to try this recipe! Paleo is bonus. I would have never guessed you can make biscuits with almond flour. Sounds like such a great recipe. I’ll definitely be trying this. These look perfect! I can totally imagine dunking them into a big bowl of soup or pretty much anything! Such a great biscuit recipe! I love Simone’s recipes & books. Simone is such a great person and cook. She was hired to prepare all of the food at a work retreat a few years ago and that is the best I have ever eaten! These biscuits are so perfect for the holiday season. They go well with practically anything! They really do. Thank you so much for stopping by. Biscuit with almond flour! Yes, I finally found what I was looking for! These biscuits look awesome! Love how easy they are. These look great! My kids love it when I get around to making biscuits – they will love these! Thank you so much Renee, I am glad your kids will love them! Those do look pretty perfect! Do you know if coconut oil works instead of butter? I love a good biscuit, these look so fluffy and delicious! i’m allergic to almond. is there some other gf flour to use? Hi Elayne, this recipe is paleo so I don’t have a gluten free flour that would substitute. You can find gluten free biscuit recipes on Pinterest or Google if that helps. I am trying to eat healthier, so this will be great to make a decent version of biscuits and gravy. I may have to order the flour online to make these, but I am going to try them! Great job on these, and sneaking in nutrition is always important.